It was eleven years ago, Oct 01, 2007 – my birthday to be exact – that I received my first shipment of Romancing the Trail books. After years of work it had finally happened. I’ll never forget seeing my first book in print. I’ll never forget seeing my name on the book cover. It felt so unreal. Looking back after 11 years it still feels a little unreal. Writing has for a very, very long time held my interest. I had my first creative writing class in grade school and remember really enjoying it. I even wrote a small story that my mom helped bind in a book cover and turn in as a book. During my jr. high days, I had my second creative writing class. I had always been a bit of a goof-off in school, and didn’t put much into my academic studies. However, when I walked into my that class, I had felt at home. Written expression seemed natural for me. For the first – and only time in my school years – I felt as though I was in my element. I’m not suggesting that I excelled at it. I just liked it. For years after high school, I no longer wrote for personal enjoyment. I had held various jobs which forced me to write – though not very creatively. Then, when my children were still small, I purchased a writing booklet, where I would occasionally jot down some poetry, or fiddle with the written thought. But I didn’t have the time to consistently pursue it. In May 1999, I had gone on a backpacking trip with some friends to Connecticut. The night before we began our hike, someone suggested to me that I should write down what happened on our trip. I found a pad and pencil and soon dove into the world of journaling. I would not only journal that hike, but began to write about all the hikes I would take for many years. In May 2003, during a hike of the Laurel Highlands Hiking Trail, the idea struck me of turning my journal into a book. I had been unaware of any book written about the LHHT, and thought it might be fun to do. In late July/early Aug of that same year I went on my first thru-hike of the trail and then began the task of writing about it for a book. I wrote feverishly for a while, but soon got sidetracked with life, and put the project aside. In January 2006 I had picked it up again and by early spring I had finished it. As I worked with my editor, Sherrie Pensiero, I struggled over a title for the book. My original title had been “Six Days Atop Laurel Ridge.” My wife, however, who was helping with the edits, felt my title didn’t fit the story line. She pointed out that the book was really more of a romantic story about hiking. She suggested “Romancing the Trail.” I loved it, and joined our two thoughts together. Romancing the Trail: Six Days Atop Laurel Ridge was born. I had assumed my that my friends and family might want a copy of the book, but that it would soon fade from print. Oh, how wrong I was. The LHHT was far more popular than I had assumed. Hikers who loved the trail ordered copies and seemed to really enjoy it. I soon began to get emails from non-hikers who had read it and said that they felt they were hiking with me. Some have admitted that Romancing the Trail was the book that prompted them to take to the woods. Yet, the book went further than that. 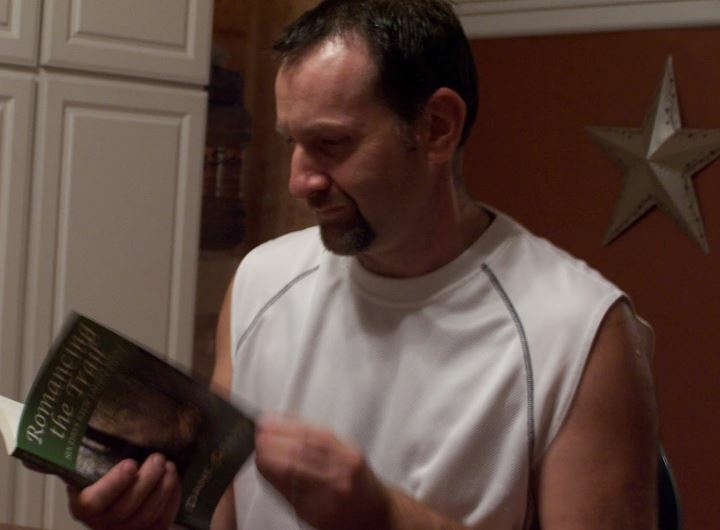 Some contacted me and told how the book helped them in their darkest hours. Its stories had touched their lives and helped them see a picture bigger than what was in front of them. It was these latter comments that really got me. I had never anticipated those. For a long time the book held the #1 best selling PA Outdoor book on Amazon’s list. I was amazed. I had not anticipated such a reception. I’m still a little stunned that it ever went that far. Like I had said – it still feels a little unreal. I’ve been asked a million times if there will be a sequel. For the longest time I would always answer with a ‘no.’ However, during my most recent thru hike of the LHHT I was struck with an idea. It’s still a long, long way off from print. But, for the first time I can now say that there is an idea for a sequel. Time will tell. For the many who had read the book – thank you. For those who took the time to reach out to me or write a book review on Amazon – thank you. None of you will ever know just how big you made this for me.